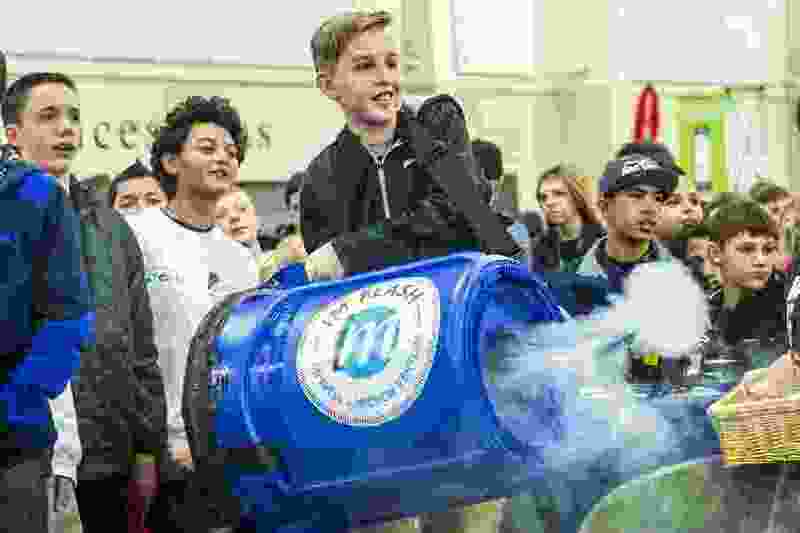 Chris Detrick | The Salt Lake Tribune Frontier Middle School seventh-grader Max Simmons uses a vortex cannon to blow out smoke rings during UtahÕs Second Annual STEM Fest at South Towne Expo Center Tuesday February 2, 2016. More than 18,000 seventh through 10th grade students will engage with science, technology, engineering and math (STEM) through interactive experiences. The National Science Foundation is one of the federal agencies that has been closed by the federal shutdown. Many people do not know what the NSF is. The NSF is a major federal agency that supports research in all areas of science and engineering except the medical sciences. In FY 2018, Utah universities and companies received $69 million in grants from the NSF. On a per capita basis, Utah receives almost as much from the NSF as California or New York and far more than most states. This funding goes mostly to individuals and small groups that are engaged in true cutting-edge research with high payoff potential. In Utah, this has meant funding of many exciting projects in the areas of geology, thermal science, nanotechnology, weather, radio-astronomy – truly the frontiers of science. In addition to research though, the NSF has a major mission in fostering the education and training of our nation’s future scientists. Virtually every institution of higher education in Utah has benefited from these grants. This funding makes possible development of our future STEM work force. It supports teachers from K-12 and beyond in educational programs to foster development of young scientists and engineers. This funding brings our tax dollars back to Utah and is critical to the economic growth of the state. Expenditure of these funds supports the local economy and the state tax base. But more importantly, funding such as this is critical to the future careers of the best and the brightest young people in Utah. With the NSF shut down, hundreds of students and their teachers will see their work cut off and their paychecks stop. For all the students hoping to go to graduate school on an NSF fellowship this year, and who spent months preparing and submitting their applications, they will likely not receive them in time. No applications are being reviewed. No new grants are being issued. Renewals are on hold. This could literally mean not just one year, but a career lost for students, especially those of limited means and from rural areas. Instead of working in a nuclear physics lab, they could be working in a fast-food restaurant this summer. Our Utah legislators who support the present position of the administration may not fully realize the long-term costs of this shutdown. It is not just an immense hardship on federal workers, it affects us all fundamentally and affects our future. Please call upon your senators and representatives to open the government and then debate their points of difference. 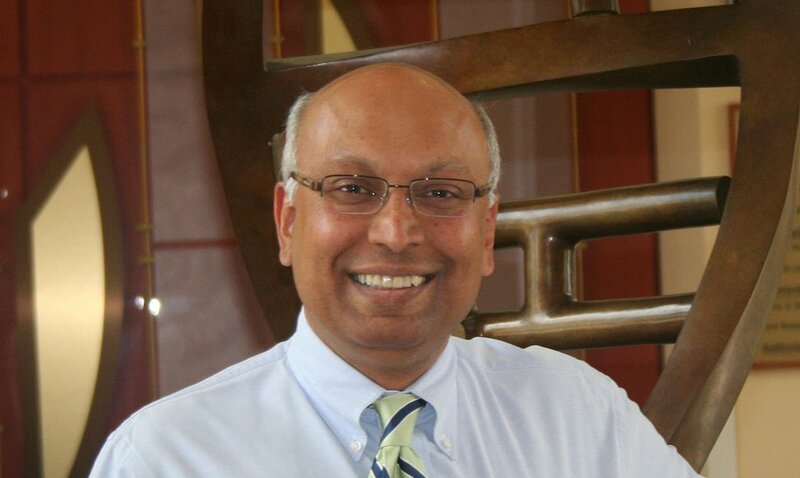 Sankar Swaminathan, M.D., is the Don Merrill Rees Presidential Endowed Chair professor and chief of Infectious Diseases Department at the University of Utah School of Medicine. The views and opinions expressed in this article are those of the author and do not necessarily reflect the official policy or position of any employer, organization, committee or other group or individual.